What do you see when you look at this giant swath of letters and numbers? Maybe it’s a secret, unbreakable code. Maybe it’s an unconventional treasure map. Or maybe your computer is having a nervous breakdown and there’s nothing you can do to stop it. Actually, it’s a chess game. That jumble of alphanumeric characters is the record of a 1925 match between Jose Raul Capablanca and Mikhail Botvinnik. Before we continue, let me clarify: I don’t know much about chess. I know which pieces move which way, and I know how to identify the moment when my opponent has officially mopped the board with me, but other than that, I’m completely out of my depth. When it comes to strategy, my general tactic is to stare at the board thoughtfully with an internal monologue that usually goes, I wonder what happens if I move this piece here? Wait…is he planning something? He’s probably planning something. Maybe this is the move he wants me to make! WELL NOT TODAY, BUSTER! Hmm…I wonder what happens if I move this piece here? You get the idea. So when it comes to the champions of the chess world, I’m always amazed by their ability to see ahead. 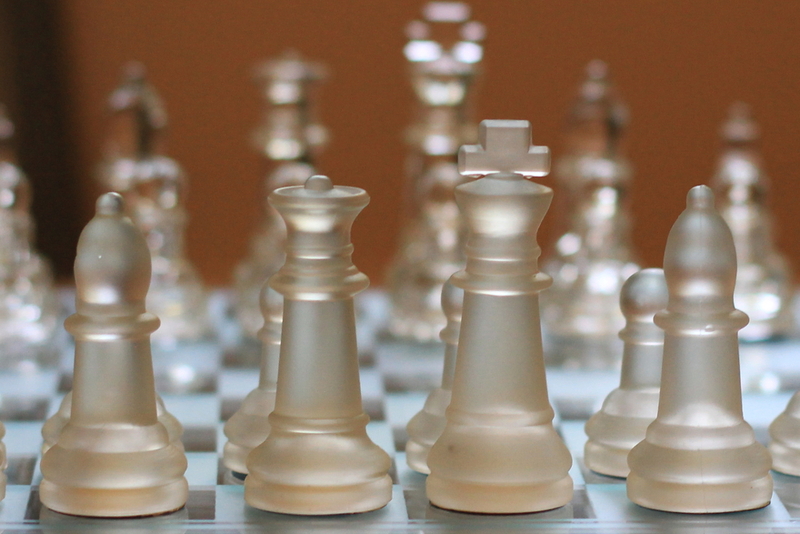 A good chess player sees beyond the current configuration of the board by looking at patterns and ideas. They don’t just see where the game is; they see where the game is going. They anticipate their opponent’s moves through pattern recognition, adapting their own plans accordingly with every move of every piece. Anyway I say all this in order to fully drive home the mind-boggling magnitude that is a simul. Short for “simultaneous exhibition,” a simul features one high-ranking chess player simultaneously facing multiple opponents, usually arranged in a square or circle formation. The player conducting the exhibition walks around the room, making a move on each consecutive board and repeating the process until all games are finished. On the day Botvinnik defeated Capablanca, Capablanca was playing 30 simultaneous games during a simul that lasted five and a half grueling hours. Thirty opponents. Thirty different games of chess. For five and half hours. That’s right. People do that. People do that and their heads don’t explode in a volcanic eruption of mental strain the way I think mine will when I’m the middle of a particularly taxing game of tic-tac-toe. And I say people because this sort of thing happens on a regular basis. Three years earlier, Capablanca had faced 103 opponents over the course of seven hours, and the one game he didn’t win was a draw. In 2011, Grandmaster Ehsan Ghaem Maghami set the world record for the largest simul ever, playing 604 games for 25 hours—and winning 588 of them. As much as it might be shaping up that way, this Sabbath Thought isn’t an excuse to yammer on about obscure chess stories. The best and brightest of the chess world have accomplished some truly incredible feats, but they still have their limits. None of them can win every game. There will always be some opponent or another capable of outwitting, outplaying, and outmatching whoever manages to climb to the top of the ladder. God is the ultimate chess player. Human chess players are moving pieces around a board just to corner one little king piece; God raises and removes entire kingdoms as He works out His perfect plan. Human chess players spend years memorizing patterns and strategies; God can instantly recognize and flawlessly adapt to any change. 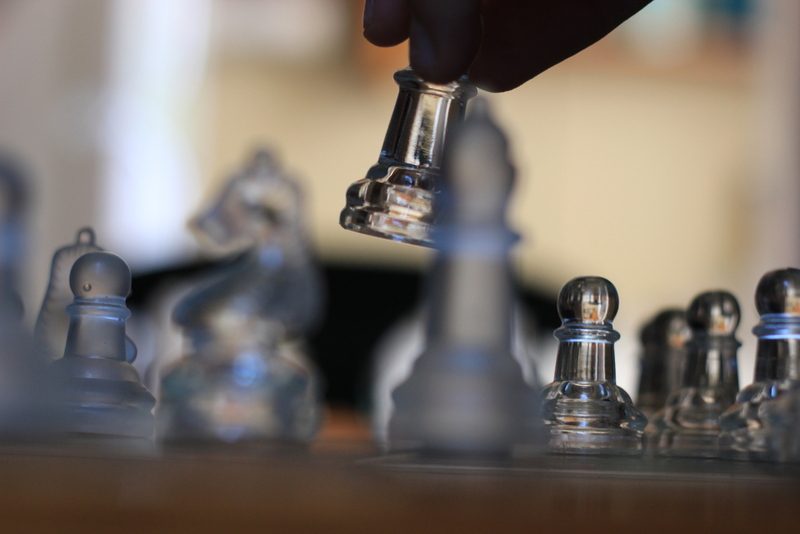 Human chess players can get extremely good at chess, but never perfect; God can never lose. He knows exactly what He wants to accomplish, and He will accomplish it without fail. The greatest difference, though, is this: In a traditional game of chess, the goal is to put the opponent’s king in checkmate. It doesn’t matter how many of your own pieces are lost in pursuit of that goal, and often it’s wise to intentionally sacrifice pieces to further that goal. The only thing that matters is whether or not you win. That’s not how God works. You are important to God. 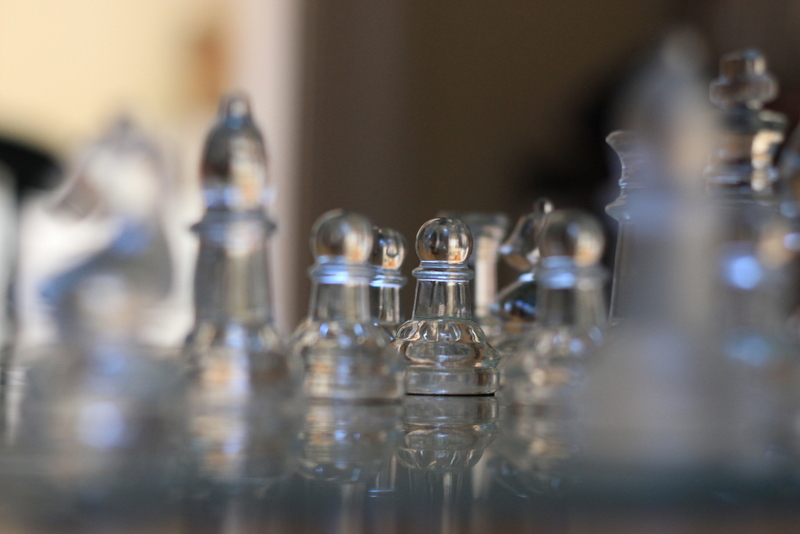 You are more than just a pawn on one of his boards. You are not an expendable, unimportant means to an end. You are His child, and He has not lost sight of you in the bigger picture. His goal is not to knock over some arbitrary plastic piece, and He isn’t going to use you as target practice to do it. His goal is to bring all His children safely into His Kingdom, and that is what He will do. The way He moves the pieces rarely makes sense to us, and rightly so—even if we’re lucky enough to catch a glimpse of the entire board, we don’t have the ability to see five, ten, or twenty moves down the line. We can’t perfectly envision the endgame God has in mind, so we can’t fully comprehend the move He makes to get there—we can only be confident He’s making the right moves. It took years before Joseph could look back and tell his brothers, “as for you, you meant evil against me; but God meant it for good, in order to bring it about as it is this day, to save many people alive” (Genesis 50:20). His story was riddled with moves and pieces that seemed hopeless, but in the end he came to understand that God was working out something absolutely incredible. The same is true for you and me. There are bound to be countless moments in our lives where we have serious questions about what God is doing or what He is allowing, but that never means He’s lost control of the board. He is always, always in control, and He is always, always working out “thoughts of peace and not of evil, to give you a future and a hope” (Jeremiah 29:11). We just need to trust Him while He does—because one day, we’re going to look back and find that every single moment of every single day in our lives made perfect sense. And more importantly, we’re going to look back and find that those moments were all worth it. 2 Responses to "Thinking Ahead"
Nice analogy. Well put. Lynn loves your writing. Keep writing! Encouragement much needed today. I was a little late reading this one, but it turns out that I read it at the perfect time. Keep on yielding to God’s inspiration. You are a valuable tool in His service.